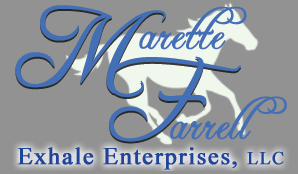 Marette certainly has been busy in recent weeks! At the The Fasig-Tipton Midlantic 2-Year-Olds in Training Sale, for example, Marette and John Adger purchased a $425,000 Into Mischief filly for Peter Fluor and K.C. Weiner’s Speedway Stable. 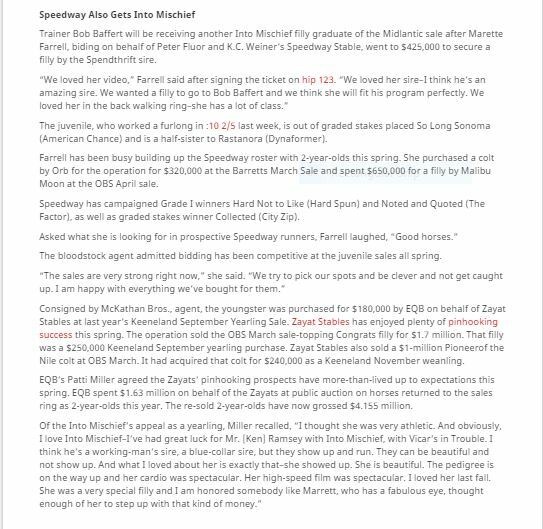 Below is a piece about Marette and John Adger’s purchase in the Thoroughbred Daily News. Before that, however, Marette would like to congratulate Rick Kanter’s Stallionaire Enterprises for their incredible success at these recent Fasig-Tipton Midlantic sales, topped with a couple of very high profile pinhooks! “No one is more of their success than than Rick,” says Marette!